The mummy fatigue is still at its peak. I’ve conversed with my husband a lot about this fatigue lately, for a few reasons. Yes we are raising six children so everyone expects us to be exhausted. However, we’ve come to the conclusion that these two beautiful last baby’s that we have been blessed with are the absolute reasons for our complete and utter parental exhaustion! Poor sweet little babes are being blamed for our feelings of downfall as super hero parents that have finally crashed and burned……. The reality is, it’s not actually the babies faults. There are many factors at play here that have finally tipped us over our limit of being able to bear with the perpetual tiredness to nearly crying from the brain fog of pure exhaustion! Our ages….. ughhh as much as I hate to admit it, yes it’s true we are much older this time (and more unfit) and we tire much easier than we did with our older children. The temperament of our two littlest ones. These two are beautifully rowdy. Perhaps it’s because they are aware that they are in a large family and feel they need to compete for attention. Or maybe it’s just their personalities but these two little ones are noisier, more energetic, inquisitive, demanding and sleep way less than any of their older siblings. They are also very close in age. They were born nineteen months apart. We’ve never had such a close age gap before with our older children. In fact we’ve had some small age gaps but we’ve also had some really large age gaps. Our oldest daughter is seven years older than our next son. Then the three middle boys are fairly close in age with a three year gap being our favourite gap so far. 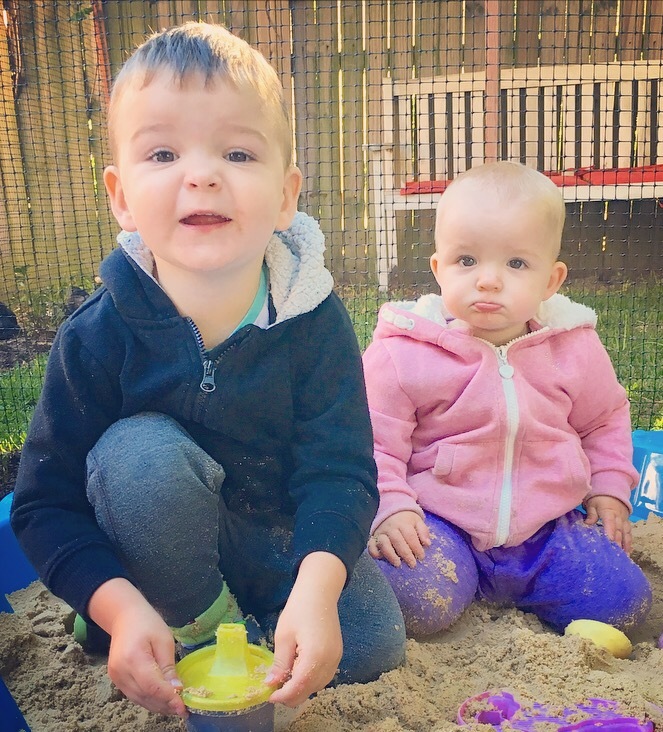 We then had a ten year gap between the middle boys and our last two little ones….. Who are the lovely little high energy babes that are nineteen months apart. When I’m truly exhausted I jokingly say never….. However I tell them that every family is different and has different experiences so may suggest different things. But for us having these last two babies close together has, at times been akin to a living nightmare….. It all starts off so lovely and exciting bringing home the new sibling for the new toddler…. Then within months the reality sets in…. Endless mountains of washing, some little human nearly always crying because of hunger, tiredness, dirty nappy, double teething, sibling jealousy…. this list is not exhaustive, but I am….. The sibling rivalry once the baby starts moving, the tandem crying at night from night terrors, molars, hungry baby, new teeth, why does baby get to be held all night and not me…… So many challenges at once…. and don’t even get me started on trying to toilet train a toddler with an inquisitive baby crawling towards a potty full of fresh poo……. 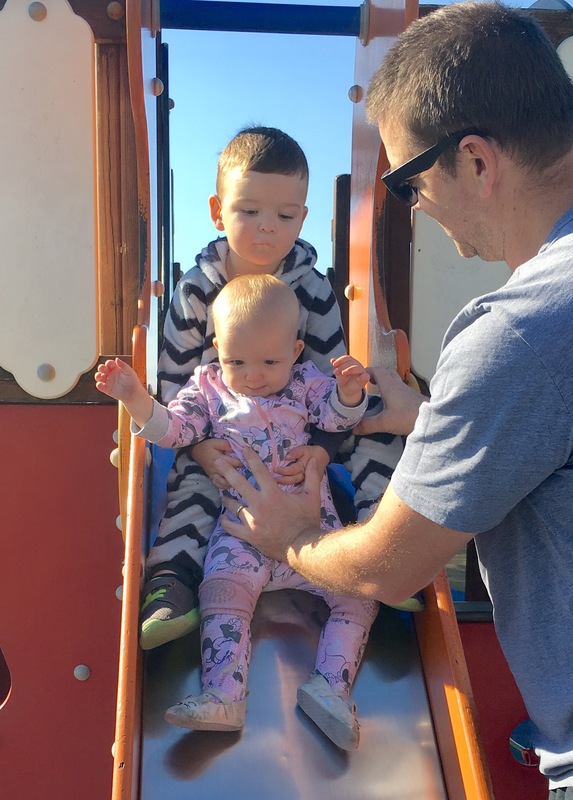 Or when they both become really mobile and older child is a runner and an escape artist and takes off in the opposite direction to the one you’re going in with his newly walking baby sister…. So you scoop her up fast, so now she’s crying because her walking accomplishment wasn’t well enough recognised because you need to chase big brother before he reaches the road…… I don’t care how judgemental people are if you’ve got a close age gap and very energetic, active, independent little ones that like to walk/run everywhere, do yourself a favour and carry baby (baby wearing) or use a pram and most definitely get one of those delightful (lifesaving) back pack/ leash strap devices! Better to take some criticism than have a disarstorus accident. Believe me I’ve nearly fallen to my knees crying for someone to chase my son and catch him before he reaches the road because I’m struggling to run after him carrying the baby… We aren’t given any books or manuals on how to deal with the reality of the everyday struggles that come with having two babies close together. I was talking to another mum friend/colleague who has the same age gap with her babies. We were commiserating with each other about how hard it is to do even the simplest things, like going to the toilet…. You have to take the two of them with you otherwise you’ll come back and find the baby has been buried under a pile of unfolded clean washing by the older child, who has now climbed up on the back of the lounge wearing a cap mimicking his favourite Paw Patrol character….. Long gone are the days I could do a wee in peace… And yes I’ve had years of having to take a baby in to the bathroom with me but these two just seem to egg each other on to do the cheekiest things they can to push my buttons! For me and my family, I honestly feel like the three year age gap and above is the winner! Reasons being for this are obvious, you’re usually only breastfeeding one at a time then, there’s only going to be one in nappies, hopefully there’s only going to be one having night wakings, the older child is easier to talk to, rationalise and negotiate with and they are usually more helpful, more understanding and less jealous of their new little sibling. 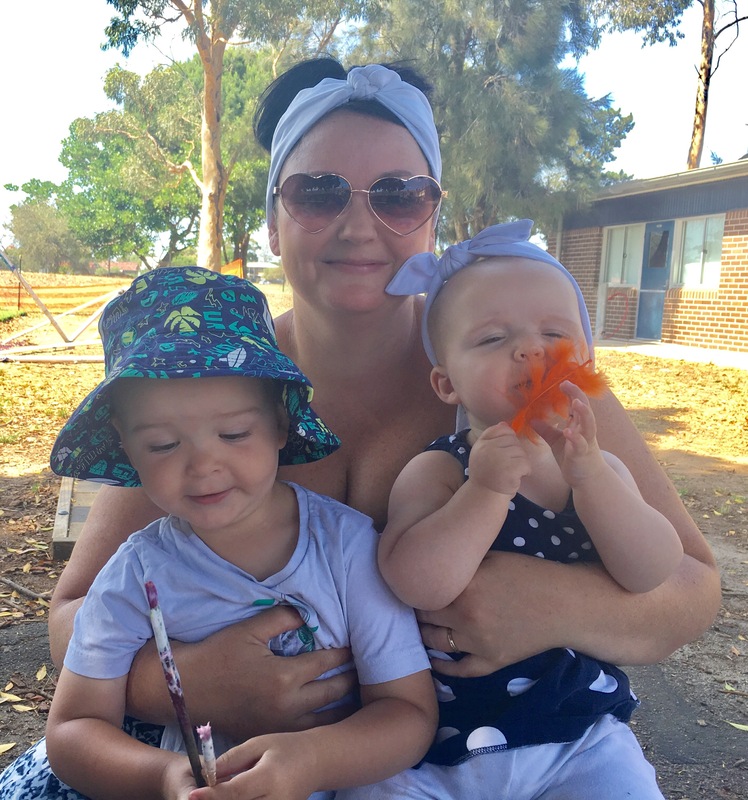 On the flip side of this argument I’ve heard people in favour of a close age gap say “yes but I like that they will grow up close to each other and that it’s a few hard years but then all sleepless nights and nappies are over and done with at once”…. To that I say “hey that’s great for you….. but to hell with a few rough years I’d rather a nice age gap and a few smooth years that don’t make me look and feel like I’ve aged a decade in a year and a half”!…..